On Tuesday Nuanua teachers, Etu Ao educators and tamariki all had so much fun celebrating Cook Island language week through a session of ‘HOT HULA’ thanks to our special guest Kelly Ruru. Thank you Nuanua and Ina Ropu for organising this. We learnt some amazing actions songs, dance moves and skills that got our hearts pumping very very fast! 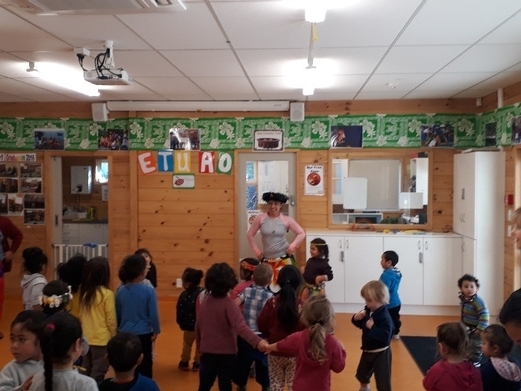 Awesome stuff Susana (Etu Ao Play group co-ordinator) …we loved the way you shook your hot hula hips!!! We were soooo excited and had heaps of fun. Just what we needed for a beautiful but cold winter's morning.